Texas Archives - Neighbors at War! East Texas, Big Woods Springs HOA is a relatively small community of 85 homes, with low assessment payments of $35 per month. They need the money to maintain their road, a small bridge, and a dam for their lake. 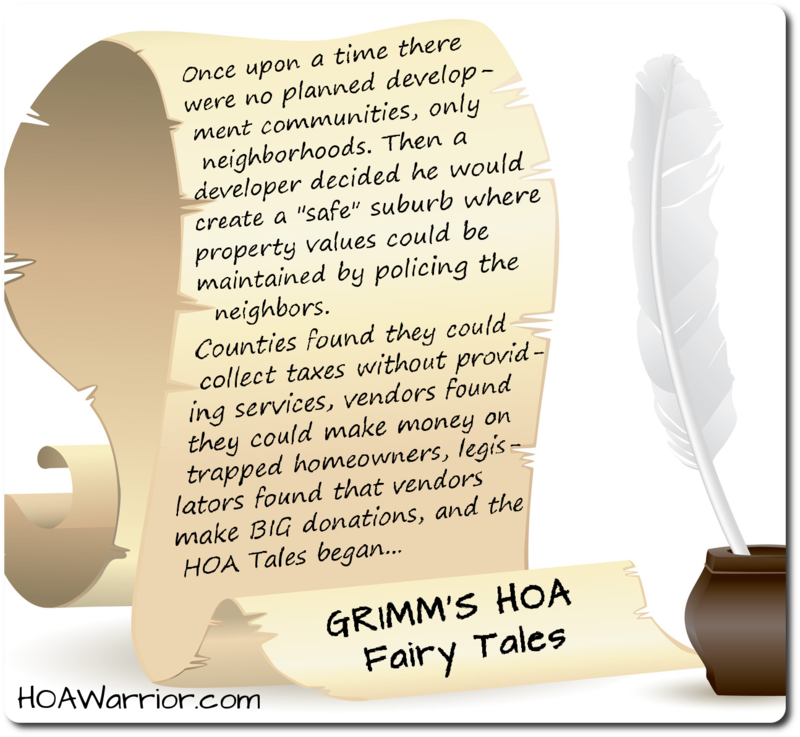 Homeowners have just been “blindsided” by the theft of $31,000 from their HOA. The theft allegedly occurred over a 26-month period, by their neighbor and former Treasurer, Letha Anna Thomas. Owners became suspicious when their repeated requests to see financial statements were ignored. The new Board members vow to operate with transparency, and intend to conduct background checks on all future Board candidates. No Comments on What a Great Place for a Banker! So You Think You’ve Heard Everything? 2 Comments on So You Think You’ve Heard Everything? I’d love to call this one a scam, but there isn’t enough information to make that kind of allegation. It’s just too bizarre. The City of McAllen, Texas, charges each resident an extra ten bucks on their water bill, supposedly collected on behalf of Homeowners Associations. Theoretically, that money is supposed to go to HOAs for maintenance. But nobody seems to be getting the maintenance or the money, and the City of McAllen has no idea where the money is going. There’s never been an audit. 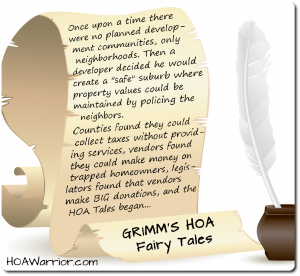 Money is even being collected from homeowners who live in neighborhoods where the HOA has been dissolved. We may be talking about millions of dollars, here. 1 Comment on Just To Make You Laugh! Really, that word comes up a lot in your emails and in news stories about out-of-control HOAs. So I YouTubed the word and came across a funny video that’s been viral several times over the past few years. As you watch this, just remember that sometimes the Good Guy wins!